A live album was always something of a rite of passage for any Rock band worth their salt in the seventies and saved many a bands career. Just look at KISS' 'Alive', for example, or Peter Frampton's 'Frampton Comes Alive'. Both are live releases that saved their careers and propelled them to superstardom. You can add in Cheap Trick's 'At Budokan', Deep 'Purple's Made In Japan', 'Unleashed In The East' by Judas Priest, not to mention 'Strangers In The Night' by UFO and Thin Lizzy's 'Live And Dangerous', every one of them a diamond encrusted classic and often a career defining record. There was just something about that time that seemed to capture the whole essence of a live show that just doesn't seem to have happened since then and it's a bit of a mystery why. 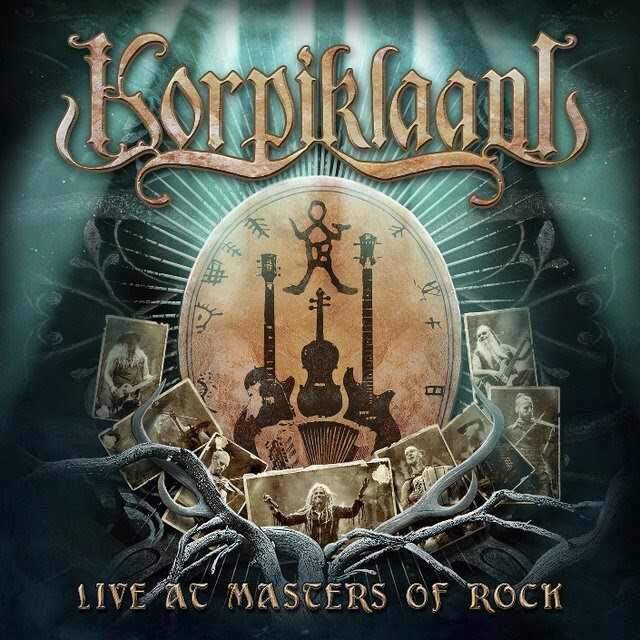 Finnish Folk Metallers Korpiklaani hope to redress that balance with the release of their very first double live album and DVD, 'Live At Masters Of Rock', recorded at that very festival at Vizovice, Czech Republic in 2016, along with a bonus recording from 2014 that combine to feature a mind boggling thirty-eight songs spread over two CDs and boasting a no overdubs, warts and all experience. Musically it has just about everything you could want from a Korpiklaani show, the upbeat beer-swilling anthems backed with fiddles and accordions, and with song titles such as 'Beer Beer', 'Vodka', 'Happy Little Boozer' and 'Wooden Pints' you kind of know this is one rowdy, bawdy, good time Rock 'n' Roll party. The fact that they sing most of the songs in their native tongue does not, in any way, detract from the show that is also beautifully captured on the accompanying DVD. Sonically, 'Live At Masters Of Rock' has plenty of punch and clarity without losing the ambience of a live show. If there is any criticism, it's that thirty-eight songs in one sitting is heavy going, and there are one or two repeated songs across the two shows, but this really is a minor gripe. 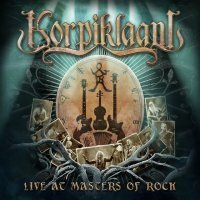 Korpiklaani have put out a corker of a live record that maybe not in the same zone as the classics of the seventies but comes darned close.